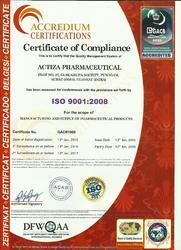 Established in the year 2010, we, Actiza Pharmaceutical an ISO 9001:2008 certified company are among the prominent exporters, suppliers, wholesalers and traders of a broad assortment of best quality Pharmaceutical Medicine. 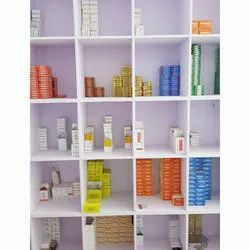 The product range offered by us consists of Anticancer Drugs, Skin Care and Dermatology and Steroids and Hormonal Products. Used in hospitals and health centers, the offered range of pharmaceutical products is processed from quality assured ingredients. 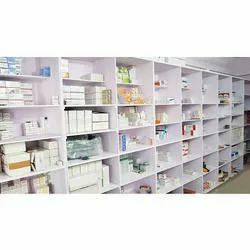 Processed as per the FDA set norms and regulations, the offered range of pharmaceutical medicines is used for the purpose of treatment various illness in the most efficient manner. 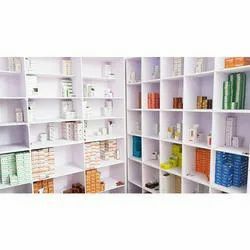 Additionally, the offered range of pharmaceutical products is available with us at cost effective prices. Backed with efficient and hard working professionals, we have been able to cater to the precise needs of our valuable customers in the most efficient manner. With the aid of large production capacity, we have been able to manage bulk demands in the most efficient manner. We have been able to assure safe and timely delivery of the offered range, owing to our excellent transportation facility. By following customer centric approach, we have been able to understand the precise needs of our valuable customers in the most efficient manner. Under the guidance of our marketing manager, Mr. Sanjay Gangani, we have been able to cater to a huge clientele across the world. 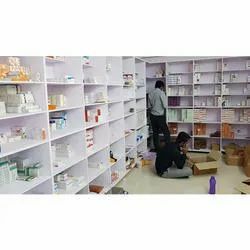 He with his experience and in-depth knowledge of this domain has helped us in winning the trust of our valuable customers in the most efficient manner. 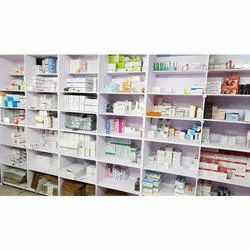 Manufacturing, Trading and Exporter of Metronidazole Tablet, Povidone-Iodine Ointment, Praziquantel Tablet, etc. We will be the region's most comprehensive, strongest and preferred health care organization, setting the standard for quality, caring, collaboration, excellence, leadership, and respect. To provide as experts reliable products and information to the demanding customer to help maintain or improve their life-quality. We are also committed to providing a broad range of services that improve one’s sense of well-being and which prevent illness. Our organization is well-supported by a team of skilled and efficient professionals. Our team consists of professionals of different fields such as medical, quality control, accounts, admin and marketing. Our employees work with complete sincerity and make the best utilization of their knowledge to complete the assigned work in a specified time period. They have the expertise in their respective domain and work together to accomplish the organizational goals. Diligence and cooperation of our employees support us to carry out the quality and packaging processes smoothly. Our team focuses towards the company's objectives and understands the customers' demands. 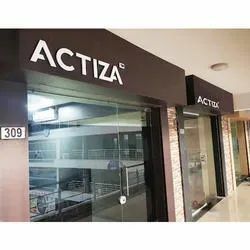 Actiza leverages its India cost-base together with its extensive expertise and technology platforms to offer competitive, high quality, custom manufacturing services to a global clientele. The facility has been inspected by various international regulators including the USFDA, GMP, WHO & ISO Certified. Good health and longer life have been the right of every living being. A complete quality healthcare at affordable cost is not a luxury but a necessity of the present time. Actiza Pharmaceutical is dedicated to development, manufacturing and marketing of quality Pharmaceutical to meet growing demand of healthcare. To attain optimum client satisfaction we provide our clients effective, safe and quality-approved solutions. It’s the exceptional quality, fair pricing and accessibility of our company that sets us apart from the competition. Sodium Chloride 0.9% & Dextrose 5% Injection.